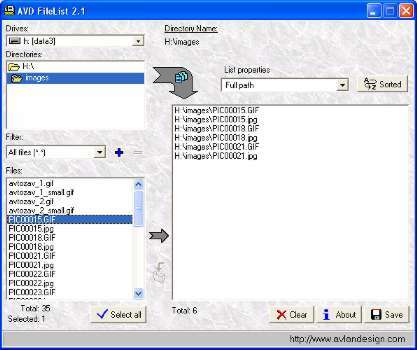 AVD FileList is the tool for creation of the files list as a TXT-file. AVD FileList is the tool for creation of the files list as a TXT-file. This list contains files which are in the chosen directory. Also you may receive the files list from subdirectories.